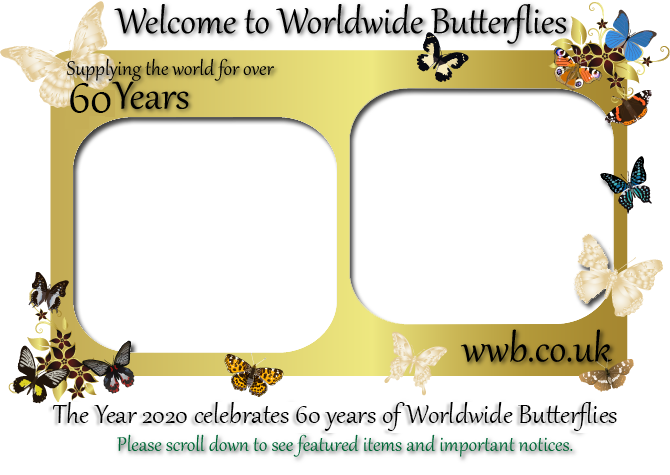 Worldwide Butterflies has been supplying butterflies and moths for over half a century. There is a range of species available as livestock. Schools can see Recommended School Species. 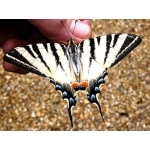 Butterflies and moths are supplied for historic, scientific and identification collections, medical research, for photography and conservation, and even just for their incredible beauty and natural history interest. 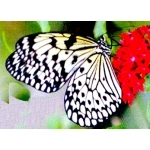 Schools and educational establishments are prominent in Worldwide Butterflies’ list of customers. 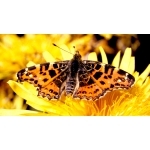 A number people started by buying from Worldwide Butterflies, and have gone on to become professional in Entomology and Natural History in a number of ways. In fact in fact this has now continued in subsequent generations. 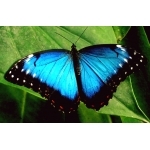 To read about Worldwide Butterflies from the earliest days please see History. If you wish to edit your order, click on Shopping Cart where you can change the quantities or remove an item. It is essential to click the blue circular arrow ikon after making a change on an item, which updates the calculations. If your order is not going through at checkout, you are then with PayPal, not on the WWB website, it sometimes helps to try an alternative valid card, otherwise, you can select to pay by PayPal instead of a card. Login to My Account to follow availability of booked items. You can see your order history, Store Credits and check on dispatch. Booked species may have an update note. If none please check the species text on the website to see the current availability. Have you received the latest WWB NEWS? To receive WWB NEWS by email in future, please go to your Account and click NEWS Subscribe. It's free. You will be notified about current and coming species, special offers and more. Most items on the website pages have multiple pictures which show when you click the main picure. If you hover the cursor over a picture, arrows appear left or right so you can scroll through the pictures enlarged. You can click any picture to see it enlarged. LIVING BUTTERFLIES and MOTHS. 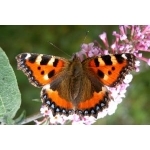 For film shoots, weddings and other events we are sometimes asked for butterflies to release. Foreign species cannot be used for this and we don't supply living adults. You can buy pupae but not to a specific date, so you need to organise the synchronisation of emergence for the particular requirement. To make sure that the recipient gets the greatest benefit, let them choose from the whole WWB website the things they MOST want. This is a wonderful way to mark an event, birthday, anniversary or show appreciation to friends or family, or to encourage a budding interest, even to start a new one. Click here to select one of the pictures to accompany your Gift. If you wish to enquire about an order: Before you email, please check the anticipated availability period for the species, and check your Account History because for most booked species you will see a note on your account. This may answer your query. If you do enquire, please quote the five figure ORDER NUMBER and SPECIES, without which we may not be able to respond. Availability: The availability of each species is shown. Orders are booked, and the availability can change. Anything that is immediately available is shown as NOW. If a month or period is shown, and we are at that time, unless the availability is NOW, we must wait until the species is ready to be sent out. As soon as it is, the availability changes to NOW, and dispatch commences. Orders sent internationally are at the risk of the purchaser: When placing an order to be sent internationally, you agree to accept non-arrival, delay or hatching or death of livestock - all risks. We do everything possible to get your order to you safely, by post. Dormant livestock can normally be sent by post, but in hot seasons all livestock is at risk. For European destinations orders can be sent by courier, and arrive in only a few days after dispatch. If this is not shown as the means of sending and you wish to order Express courier, please select Express European courier (XXP) from the main menu. Click on XXP and add this to your order. We cannot send by courier to USA, AUS,NZ, S. Africa and most other countries outside Europe. Even though Express courier costs considerably more: it does not guarantee safe arrival, but usually ensures prompt delivery in fresh condition and perfect health. Time in the Post: Ordered items may come from several different sources, breeders, publishers, manufacturers in different places, even from another country. Most orders are sent by post and arrive with your letters. There is no tracking. Please remember that each species has its season, and allow for this, also for the possibility of your order being posted internationally, which can take a week or two to arrive. 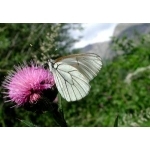 Orders for European destinations may be sent by Express courier, once the species is available, if it is obligatory because the species develops quickly, or because it is specifically requested. Generally Express courier takes 1-3 days and is the best way to send livestock that requires special handling. BEGINNER? 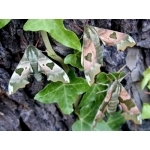 If you have not reared butterflies and moths before, please take note of the foodplants your larvae will need. 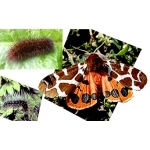 To know how to keep caterpillars, hatch out pupae and care for your livestock we recommend the handbook The All Colour Paperback BUTTERFLIES which is on the Schools Page and in the Book Section. It is packed with information and will help you a great deal. 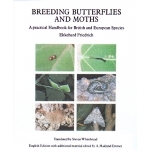 If you are a beginner and need information on rearing from small caterpillars, or hatching out pupae, please order the book shown above. INSTRUCTIONS ARE NOT SENT WITH EACH SPECIES, you need to acquire basic skills and this book is a simple way to learn them. 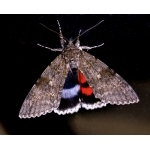 Newly hatched or small larvae are too small to be put into a cage or aquarium. If you can put them on growing foodplant, protected with a sleeve, that is ideal. Alternatively keep in a plastic box, lined with absorbent paper, in close confinement with fresh foodplant, and changed daily. Fuller hints on the page for Plastic Rearing Containers. 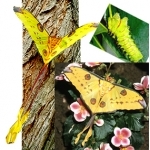 For illustrated instructios see the All Colour Paperback BUTTERFLIES. LIVESTOCK ON OUR WEBSITE is very wide-ranging. Please scroll down the different sections. There are some very interesting species for the connoisseur and for the beginner. ON YOUR ACCOUNT please enter dates when you cannot receive livestock. Letting us know by any other means will not apply the dates to the system and will not prevent dispatch of orders when you cannot receive them. We will email you: just go to My Account and click to receive these. To brighten up the winter days WWB is offering a number of items at TEMPORARY SALE PRICES. 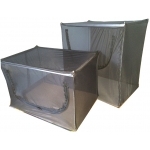 See the MARKET STALL SECTION which includes the WWB innovative sleeves in 5 sizes, all with zip access, cages, netting, plastic rearing containers and a wide selection of pupae, all immediately available. 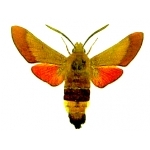 Breeding stock of 5 or 10 pupae: If the species breeds easily, or you are experienced and if both sexes emerge at about the same time, 5 pupae may well be enough to give you a pairing and fertile eggs. 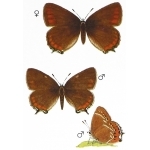 With TEN pupae, the chances of breeding success are considerably improved. Classic species. 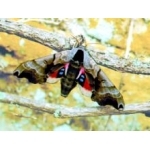 The WWB website has a very wide range of species from all over the world, including Deathshead Hawkmoth, Swallowtails, wonderful Exotic Butterfly Pupae, tropical giants such as the Atlas Moths and a variety of amazing Moon Moths. The anticipated season for availability is shown for each one. 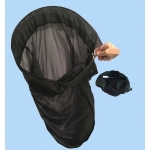 Please see this innovative pocket net click here. EARLY SPRING EGGS and LARVAE. Marsh Fritillary aurinia, the rare High Brown Fritillary adippe and the Dark Green Fritillary aglaia larvae are coming out of hibernation and can be supplied NOW, and at special prices! 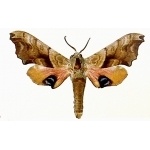 Eri Silkmoth ricini eggs and larvae are ready immediately. 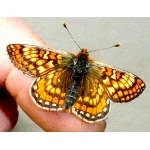 This month Woolly Bear (Garden Tiger caja) and SIlver-washed Fritillary paphia larvae will be out of hibernation and will be sent out in the second half of March. Painted Lady cardui larvae on diet or leaf will become available this month. Kentish Glory versicolora eggs are being laid now and can be sent immediately. 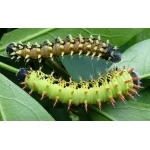 Emperor Moth pavonia eggs will be laid soon and will certainly be available in April, and hopefully in March. 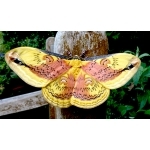 Large cocoons of the Giant Atlas Moth Attacus atlas are immediately available. 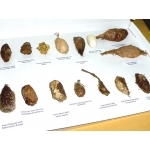 They have become very difficult to obtain but we have an excellent stock of very fine cocoons. They are in diapause, which means they can be stored cold until you wish to breed from them, from spring onwards. Alternatively they can be put into incubation conditions as soon as you wish, to emerge much earlier. Several new and interesting species have just been added to this season's range, including real rarities and some for the first time ever. 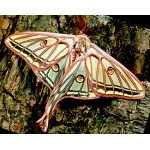 See the Featured items for new Eyed Hawks, Acherontia styx and Actias artemis. 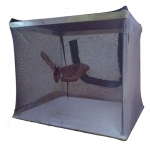 PUPAE NEST: At this time, with the new season ahead, it is a good opportunity to set up a practical emerging cage. 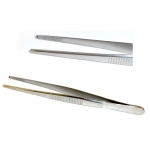 WWB has devised the PUPAE NEST, which is the most successful way of keeping pupae moist, safe and able to be examined whenever required. 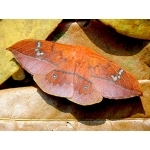 The Pupae Nest is suitable for all pupae, but is particularly ideal for pupae that live on or under the ground. 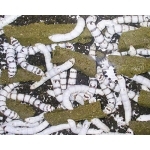 Pupae are arranged in depressions in specially formed foam sheets, which keeps the pupae separate, moist, and in hygienic conditions. 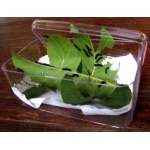 Please see the Pupae Nest in the section for Plastic Rearing Containers. For the Field Naturalist there is the new Spring Frame Pocket Net. 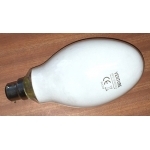 Please see this in the Equipment section of this website. The design is practical, construction rugged, and the net fits nicely in the pocket, but can be deployed in seconds when required. This keeps both hands free for examination and photography, when the net is not in current use. Woolly Bears are the larvae of the Garden Tiger Moth Arctia caja. Young Woolly Bears can be ordered in advance for delivery in March, when they come out of hibernation. Once found commonly on waysides but now quite scarce. Sleeve the larvae on Willow or Sallow, letting the leaves accumulate in the sleeve to give the caterpillars a hibernation haven. They are normally ground feeders on Dock, Dandelion, Nettle and other such plants but they hibernate well sleeved. Bee Hawkmoths. 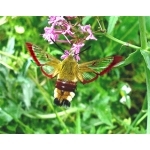 Pupae are immediately available of the Broad-bordered Bee Hawk fuciformis, and the Far Eastern Bee Hawk affinis. For the first time we also have some pupae of the magnificent bright green Hemaris croatica - a great rarity from eastern Europe into Russia. 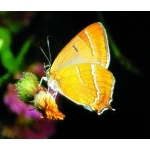 See the pictures and text for this exceptional species. 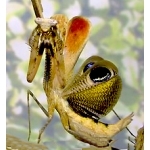 The African Peacock Mantis Pseudempusa pinnapavonis is a most beautiful new species to the WWB website. 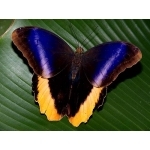 Search the name and see the pictures of these wonderful creatures displaying. They are available right now. 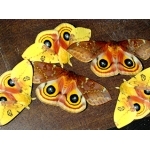 Eggs of the far eastern Boisduval's Silkmoth Caligula boisduvali are available immediately. The larvae are exceptionally beautiful, changing appearance at each skin-change. The eggs produce larvae in early spring, as soon as the first buds open. Highly recommended. 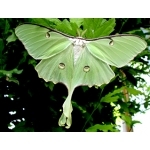 See also the eggs of the Yamamai Silkmoth which has large and easily reared larvae, that produce bright GREEN cocoons! Even at this season there are some larvae available immediately. Pre-hibernation larvae and winter eggs of certain British butterflies are ready to send right now - see the large Fritillaries, Hairstreaks and Marbled White galathea. 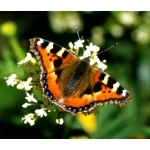 International customers can save Express courier fees in summer by buying dormant winter pupae by post, for breeding next season. This is the time to look ahead to plans for rearing next spring and summer. The dormant pupae can be kept in cold storage, even a fridge, and brought out in the spring for emergence of the adults and subsequent breeding. 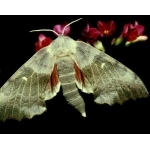 Deathshead Hawkmoth atropos eggs and larvae did wonderflly last year and more eggs will be available in early spring.. This is one of the most sought after of all species and they will be available for only a short time. Oleander Hawk nerii eggs are also due this spring. Other interesting species are the Small Eggar lanestris whose nut-like cocoons are available now. Keep them refrigerated because the moment temperatures rise in spring, the moths develop inside, and suddenly emerge prematurely on a warmer day. 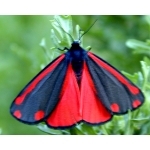 There are also Cinnabar jacobaeae pupae, which usually sell before spring arrives. 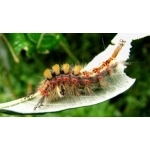 Vapourer Moth antiqua eggs are available now. Store them cold until they hatch in spring. Eggs of rare Hairstreaks Winter eggs of the Brown Hairstreak betulae and the very RARE Black Hairstreak pruni are available immediately. Store the eggs cold until the buds open in spring. Butterfly winter pupae available right now include Orange Tip cardamines, Map Butterfly levana, Eurpean Swallowtail machaon gorganus and The Festoon polyxena. Soon there will be others, including Swallowtail machaon gorganus and Scarce Swallowtail podalirius. 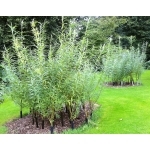 Osier Willow S. viminalis. Years ago we planted a stick that was floating down a river in Wiltshire. That was in 1954! It grew - rapidly - producing a wealth of leaves. We tried it as a foodplant and discovered that not only did British species do well on it, but exotic silkmoth larvae as well. An amazing foodplant that grows prodigeously, looks most attractive grown formally in a garden, or in a wild setting. Three particularly interesting moth species all available immediately: Vapourer Moth antiqua store the eggs cold until spring. The caterpillars are tufted and brilliantly coloured. Small Eggar Moth lanestris cocoons, available NOW, are smooth and oval, looking rather like nuts. 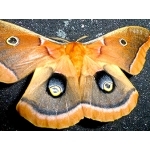 See the pictures of the moths. The female has a powder-puff tail which she uses to cover the eggs. 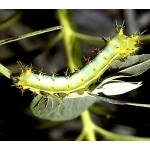 The larvae live in a white tent, emerging at night to feed. Kentish Glory versicolora now very scarce, emerges and breeds in late winter. Pupae are ready immediately. 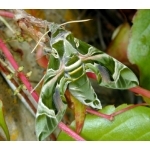 The larvae cluster and blend with their foodplant, and become as impressive as the Hawkmoths. 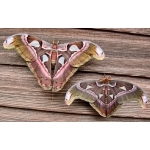 Male and female are different in size and colour, and quite unlike any other moth. 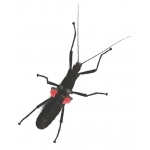 These are highly recommended, and pupae numbers are very limited. Moonlander Moth Trap and Goodden GemLight. No other trap is so compact and lightweight for travel. 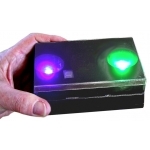 The only ultra compact trap and light for travel and sampling insects in remote habitats. Rearing Cages There are cages for travel, small ones for starters, Giant for larger breeding programmes and the range of Pyjama Cages in three sizes. 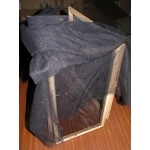 Pyjama Cages are practical in use and one of the most important features is that, a used cage can be renovated to almost new state in only a few minutes. No need to replace netting that is worn or dirty, simply by removing the entire netting cover and replacing with a new or freshly washed one. Sleeves. Sleeving is the most natural method for rearing larvae, proving constantly fresh food, with protection from parasites and predators, and preventing escape. The WWB sleeves uniquely have zip access which is a great convenience and time-saver. Five sizes from small to giant. Hawkmoth pupae. 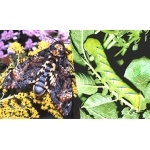 Ready now are Privet Hawk ligustri, Elephant elpenor, Bee Hawk fuciformis, Lime Hawk tiliae, Poplar Hawk populi, Eyed Hawk ocellata, Elephant Hawk elpenor and Small Elephant Hawk porcellus. In the coming weeks, other species will arrive and can be ordered now for breeding next season. 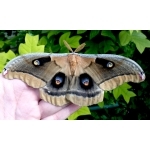 Giant Silkmoth cocoons available NOW include the Giant Atlas Moth, American Moon Moth luna, American Oak Silkmoth polyphemus, Cherry Moth promethea, and soon the European Tree of Heaven Silkmoth cynthia. 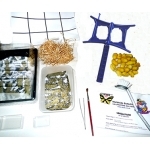 Several different Swallowtail Butterfly pupae are currently available, including the European Swallowtail machaon, Scarce Swallowtail podalirius, The Festoon Zerynthia polyxena a delicate and smaller European Papilio species. 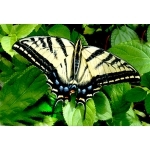 There are also Swallowtails from North America. 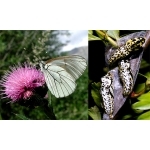 EXOTIC SWALLOWTAIL pupae, and World Exotic Butterfly Pupae are available immediately, with even more species available from March. This RECOMMENDED section is constantly evolving. Please keep visiting the WWB website to see more, and all the other changes and additions. Very large and multi-tailed North American Swallowtail. Amazing eyed larvae that feed on Lime. 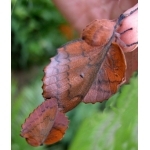 A lovely South American Atlas moth, that thrives on Privet. 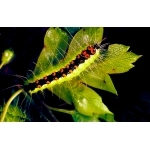 Rather difficult to obtain, Larvae easy to rear on common foodplants. 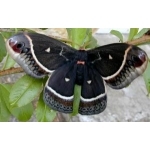 Sumatran Antheraea with some characteristics of mylitta. Both sexes very variable in colour. 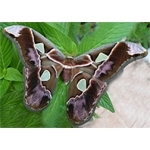 Endemic Philippine Atlas Moth. Only available from time to time. Strongly marked with red. 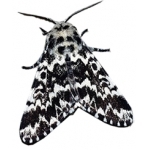 Charming moths, gregarious stinging larvae that eat many foodplants. Easy to rear. Larvae immediately available. Gregarious until older. Easily reared on Hawthorn, Plum and Blackthorn. Butterflies produced this year. Now is the season for larvae of this extreme British Rarity. Easily reared on Blackthorn. Very early pupae immediately available. This once very common species now needs help to survive. 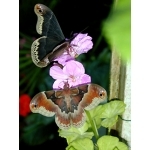 Most beautiful pupae, available in May, producing butterflies May/June. Not difficult to pair and obtain egg batches. With climate change it may be possible to establish again in Britain. A remarkable rarity from Arizona and Mexico. Never before offered by WWB! Another first for WWB. Related to the Hickory Horned Devil, this is a considerable rarity. A scarce Golden Emperor Moth from China, with a remarkable furry larva in the final instar. 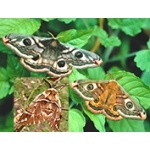 Two of our popular larger moth species, at about half the normal price! May not be for long! 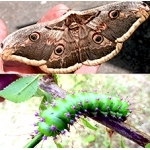 Larvae have many forms of colour and pattern. Easily reared on Privet and other easy plants. Easy to breed. Lots of beauty and colour! Highly colourful defence eye markings on this Asian Mantis. New to WWB! Very unusual and scarce species. Only a few available. Eggs are laid in July. The fascinating larvae feed into the autumn, and hibernate sleeved on Blackthorn. Very special! Larvae feeding and developing well on Honeysuckle, Devil's Bit and Teasel. Butterflies emerge this year. Larvae immediately available. Gregarious until older. Easily reared on Ribwort Plantain. Butterflies produced this year. 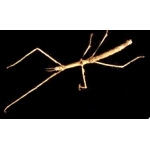 A more recent arrival - a very twiggy Stick Insect that grows fast and demonstrates amazing camouflage! Eggs of two of our finest moths. Easily reared on Poplar. Can be sleeved indoors or outside. A BARGAIN! Extremely scarce and probably the most beautiful European moth! 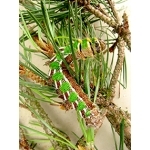 The larvae thrive on Pine. 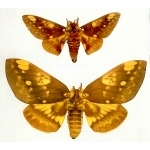 A subspecies described in recent times. Ceballosi is for the connoisseur. Eggs being laid now. The larvae hatch as the buds are opening. Very easy to rear and they do well sleeved indoors or outside. Never offered before, the Pupae Nest is the innovative way WWB incubates pupae for best results and hygienic control. 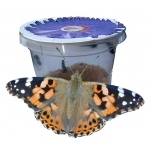 From March onwards these larvae are available in pots of diet so children can watch the life cycle without feeding and maintenance! First available in April. Prepare pots of nettle to feed the young larvae in a simple cage or sleeve. 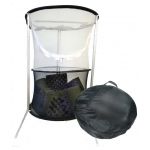 The best made and designed pocket net, compact and convenient for travel and field work. Introductory price! Breeds easily and feeds on easily found foodplants. 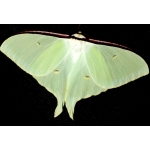 An oriental Moon Moth that is not frequently available. Rather small Eyed Hawk in appearance, but not a Smerinthus. Brightly coloured Eyed Hawk that we have not had for years. A Russian Eyed Hawk never before offered by WWB. Despite the shortage of atlas cocoons we have good stocks from Thailand, which can be incubated now or stored for summer breeding. There are a few pairs of cocoons immediately available. This species had not been available for a great many years. Larvae immediately available. Gregarious until older. Easily reared on Privet. Continuously brooded. Store eggs refrigerated until May. 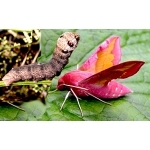 Wonderful larvae and spectacular moths! MOST difficult to obtain. This much sought-after Festoon species has not been available for quite a few years. Only a few available. Eggs immediately available. Store cold until spring. Beautiful tufted larvae, Curious wingless female. Vigorous and active males. 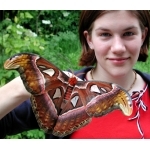 The largest European moth, with larvae as fine as any exotic Moon Moth. Not difficult to breed. 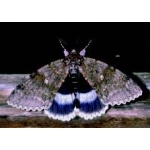 Prominent eye spots are flashed when disturbed. Larvae amazingly camouflaged. Breeds easily. 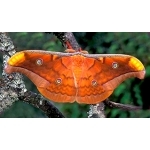 The hindwings are displayed in front of the forewings. Big fat larvae. Two generations every summer. This strain has been producing extreme forms of One-spot, Brick Red and Banded, in a variety of colours. In short supply but a stock of fine pupae has just arrived. 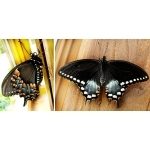 Black Hairstreak S. pruni TEN eggs SPECIAL PRICE. Britain's rarest Hairstreak. VERY SCARCE! Winter eggs to rear in spring. Winter eggs of this butterfly that few people see in the wild. Rear on Blackthorn in springtime. Very hard to obtain. A small number of cocoons available now. Scarce in Europe and suddenly less common in Britain. Store pupae cold until spring. Eggs hatch in early spring. Beautiful larvae that change a lot at different stages. Easy to rear and can be sleeved outside, or reared indoors. Eggs available again in November. 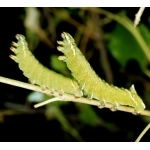 The larvae thrive on Privet and grow fast in the warm. Breeding has gone well and more orders can be taken for September delivery. Although in short supply this season, there is a stock of cocoons available immediately. 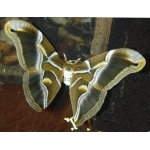 Spectacular moths and easy to breed. 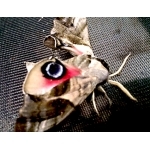 Amazing moths with huge hindwing eye-spots. Considerable colour variation. Eggs are laid in large numbers. Very attractive larvae with silver spangles! Male and female amazingly different! Very spectacular and curious larvae. Highly recommended. Empty cocoon collections. Hugely varied, all identified. 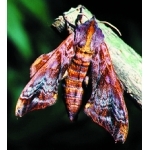 From a UNIQUE collection of the world's Silkmoth cocoons. In short supply this season, but pupae are arriving in November. Extremely difficult to obtain.This is the first time ever. 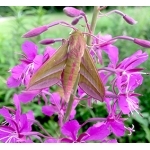 The most desirable of all Bee Hawkmoths! Often difficult to obtain. 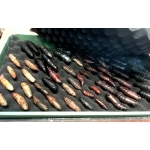 New stock of cocoons just arrived. Pairing easy. Uniquely found in Madagascar, and truly giant. The cocoon is like silvery netting and is the largest in the world. The most wonderful and colourful of all the Owl Butterflies. As good as any Morpho and better than most! SPECIAL PRICES for this special Hawmoth that is seldom available. 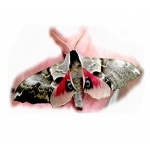 The moths are born with scales, which are immediately lost in flight! The most compact and lightweight trap in the world. Runs up to 9 hours on only 8 AA batteries. No lugging of brick-like batteries! One of the most universal of all foodplants. Fast-growing in the garden or potted. Read the full description. Successful emergence needs a tropical greenhouse. Hang the pupae in the shade. Brilliantly coloured moths. Larvae are reared on Bedstraw, and are like Elephant larvae in miniature. Wonderful magenta and olive markings. 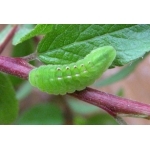 Larvae are a joy to rear on Fuschia or Willowherb. 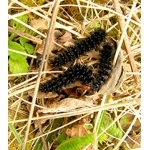 Woolly Bear caterpillars are great favourites and will be ready in March/April. Once common in hedgerows. Maybe we can help bring them back? 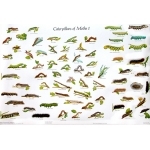 Two charts showing a massive variety of interesting moth caterpillars. A practical identification reference. A most comprehensive bible on breeding many species in captivity. The only one of its kind. An excellent new size for rearing larvae. Pack of six. The MINI PJ cage has now grown about a third and is better proportioned. Price held. Revolutionary design. Lots of space. Easy to maintain. Choose between low or high and change at will. Temporary SPECIAL PRICE! 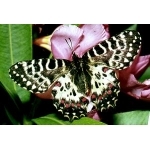 Worldwide Butterflies netting price is very low. Now there is a SPECIAL PROMOTION PRICE on 10 metres! Special Promotion Price. Substitute food for silkworms when mulberry difficult to find. Outfit to rear silkworms from egg to cocoon, complete with diet, and equipment to reel the silk - some 3 miles from each cocoon! With papery wings leuconoe difts through the jungle! Livestock orders not able to be supplied are carried over for priority supply the next season. Please inform us if you wish to cancel and be credited or refunded. Livestock sent to UK addresses will be replaced or credited if it arrives dead and is reported within 2 days. Not if it dies subsequently or is reported later. Orders are sent internationally only at the buyer's risk. Please note that all prices are subject to carriage charges and 20% VAT (except books and orders from non-EU countries), which will be added to your order at the checkout. Livestock sent outside the UK, whilst we do our best to see that it arrives safely, is sent at the BUYER'S RISK. Livestock to Mediterranean countries is often subject to delay and hot climate. Please do not order eggs/larvae, nor pupae that are not dormant, to be sent where it is hot. Livestock sent to USA need USDA permits. We cannot send to AUS or NZ, unless government authorised.